Some suspected fraudsters have allegedly defrauded a United States-based Nigerian businessman, James Okolo, of N33m. It was gathered that the Anambra State indigene, who owned a company, C & J Majesty Global Trading Company Limited, had visited the country for a business. A friend of his was alleged to have introduced him to Ogbonyomi Taiye, who claimed to be a licensed oil dealer in the country. The Punch gathered that after the duo signed a Memorandum of Understanding on February 2, 2018, Okolo paid $80,000 (N28.8m) to Taiye for crude oil. The money was said to be part payment for shipment of two million barrels of Bonny Light Crude Oil, as the parties agreed that an additional $40,000 would be paid upon a successful delivery of the product. The vessel purportedly conveying the oil was allegedly diverted to India. Okolo, who spoke to The Punch, said he petitioned the Economic and Financial Crimes Commission and the State Criminal Investigation and Intelligence Department, Yaba, over the case. The victim lamented that efforts to recover his funds had been abortive. He said, “Uzoma (friend), a man I trusted brought Engineer Taiye, who said he would deliver petroleum products to my company through the official channel. He said we would have to charter a vessel. “He gave us the name of the vessel and other particulars. With the way the communication was going, we thought we were dealing with an honest person. He went as far as signing an agreement with us and that was how we got convinced that he was real. “But immediately the money was transferred, things went wrong. He said he would pay back the money, but since February, when this incident happened, we have not got our money back. The 50-year-old said it was the second time he would be allegedly defrauded in two years. “I came to provide jobs for the less privileged in Nigeria, but it is unfortunate that this is happening. It appears that scammers don’t want foreigners and Nigerians abroad to help the less privileged. “Engineer Taiye claimed to be a petroleum dealer with regular allocation from the Nigerian National Petroleum Corporation. Uzoma was the one who introduced him to me. I am worried because this is not giving us a good image abroad and my business partners have been on my neck,” he added. A police source said Uzoma was the first to be arrested and arraigned, adding that Taiye was arrested in Port Harcourt, Rivers State, on July 13, 2018. It was gathered that after the arrest of Taiye, another businessman, Dr Godknows Itamunaola, surfaced at the SCIID and allegedly said the suspect had equally defrauded him. “In the course of investigation, it was discovered that the suspect is a serial fraudster. 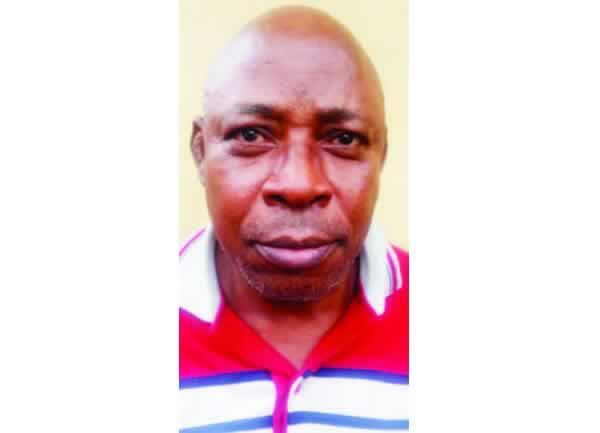 On June 23, he defrauded one Dr Godknows Itamunaola of the sum of N1.3m,” the source added. The Kogi State indigene was subsequently arraigned before an Ebute-Meta Magistrates’ Court on two separate charges of fraud. The magistrate, A.O. Komolafe, admitted him bail in the sum of N100,000 with two sureties each in like sum. The case was adjourned till September 17, 2018.